Suburbs of Troy: Troy State University. Troy is also known as: Pike County / Troy city. Their current mayor is Mayor Jason Reeves. Zip codes in the city: 36079, 36081, 36082. Some of the notable people born here have been: Bobby Jon Drinkard (presenter and television producer), Ray Sergeant (actor), and Cornelius Griffin (american football player). Troy is a city in Pike County, Alabama, United States. As of the 2010 census, the population was 18,033. Troy has experienced a growth spurt of over 4,000 people since 2000. The city is the county seat of Pike County. Troy is a college town and is home to Troy University. It was reported on June 14th, 2018 that Ruskin E "Coach" Reddoch passed on in Tarpon Springs, Florida. 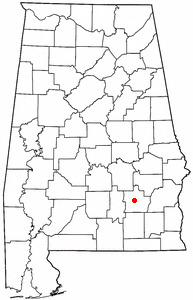 Reddoch was 88 years old and was born in Troy, AL. Send flowers to share your condolences and honor Ruskin E "Coach"'s life. It was reported on January 30th, 2018 that Emmie S Rivers perished in Niagara Falls, New York. Rivers was 69 years old and was born in Troy, AL. Send flowers to express your sorrow and honor Emmie S's life. It was disclosed on July 18th, 2017 that Tracy Carter passed on in Niagara Falls, New York. Carter was 64 years old and was born in Troy, AL. Send flowers to express your sorrow and honor Tracy's life. It was revealed on February 19th, 2017 that Madolyn C Huntington passed away in Colorado Springs, Colorado. Huntington was 87 years old and was born in Troy, AL. Send flowers to express your sympathy and honor Madolyn C's life. It was revealed on August 7th, 2016 that Lavonia Hawkins (Walker) died in Troy, Alabama. Ms. Hawkins was 78 years old and was born in Shreveport, LA. Send flowers to express your sorrow and honor Lavonia's life. It was revealed by Sarasota Herald-Tribune on July 17th, 2016 that Betty Day (Phillips) perished in Sarasota, Florida. Ms. Day was 83 years old and was born in Troy, AL. Send flowers to share your condolences and honor Betty's life. It was written on February 11th, 2015 that Eloise Singley (Langston) died in Troy, Alabama. Ms. Singley was 91 years old. Send flowers to express your sorrow and honor Eloise's life. It was reported on August 21st, 2014 that George Kall "Nick" Nicholson passed on in St Simons Island, Georgia. Nicholson was 67 years old and was born in Troy, AL. Send flowers to express your sorrow and honor George Kall "Nick"'s life. It was noted by Tampa Tribune on May 13th, 2014 that Willie "Ray" Davenport perished in Tampa, Florida. Davenport was 92 years old and was born in Troy, AL. Send flowers to express your sorrow and honor Willie "Ray"'s life. It was written on April 6th, 2014 that Harold J "Red Dog" Schwehr passed away in Troy, Alabama. Schwehr was 79 years old and was born in Highland, IL. Send flowers to share your condolences and honor Harold J "Red Dog"'s life. City to New Orleans, Louisiana Orleans, the Federal Road was laid out after 1805. Originally known as Deer Stand Hill (an Indigenous peoples of the Americas hunting ground) and first settled about 1824, it was later known as Zebulon and then Centreville before being renamed Troy (1838). It never amounted to much as a military supply road, but it was a boon to the settlers who used it to move into southcentral and southeast Alabama and into northwest Florida. It extended from the southern terminus of The Great Philadelphia Wagon Road at Augusta, Georgia westward through Georgia (US state) entering Alabama in what is now Russell County, Alabama County, and continuing westward through Macon County, Alabama and Montgomery County, Alabama counties and then southwestward through Lowndes County, Alabama Butler County, Alabama Monroe County, Alabama counties, etc. It is home to Troy University (formerly Troy State University). Troy burned down in 1901 and had to be rebuilt from scratch. The official website for the city of Troy is http://www.troyal.gov. Florida, Troy and Clemson ... For instance, Alabama defensive end Marcell Dareus was a close friend of Bell's. Moreland Smith, a friend and mentor of Bell's, said Dareus was bothered that he had to miss Bell's funeral Saturday to play a football game. Listing all funeral homes in Troy, Alabama so you can easily send flowers to any location (same day delivery) or find any funeral service. Dillard Funeral Home provides complete funeral services to the local community.